In this fifth post of our series about responsive eLearning authoring tools, we’ll take a look at the features, advantages, and limitations of gomo, a proprietary tool from gomo learning. 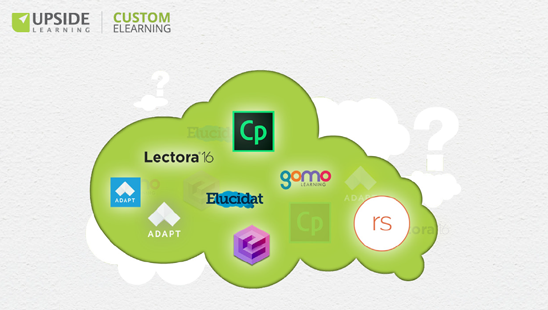 Our earlier posts looked at Adapt, Evolve, Lectora 16, and Elucidat. gomo learning provides two products that enable you to create, update, host, and track multi-device learning: gomo authoring and gomo hosting along with xAPI analytics. Combined, these form the gomo learning suite. gomo authoring publishes single-source responsive and adaptive HTML5 eLearning content which can be accessed on desktops, tablets, and smartphones. It supports both a desktop-first approach with page turning navigation, or a scrolling navigation, topic-wise, and can be easily used by non-technical users. gomo hosting allows you to distribute content instantly from the gomo cloud. Also, gomo has come up with an app for mobile devices, which allows for offline viewing and tracking. gomo Content: When designing in gomo, you can create content in one-, two-, three-, or four-column layouts in order to display it most effectively on different devices. You can set column widths as per your requirement, depending on the nature of your content and the primary target devices. You can also define content to be displayed or hidden based on device type – for example, you can choose to display an image on desktops and landscape tablets, but hide it on portrait tablets and smartphones; or you could define an alternative image to be displayed on portrait tablets and smartphones. Themes: gomo comes with prebuilt themes. You can modify these themes to have your own design and branding. You can set different course backgrounds, theme colors, fonts, and sizes; and customize the navigation controls, buttons, and header and footer bars. You can save the modified theme and reuse it in other courses. Templates: gomo offers a set of preconfigured templates that make it easy to create interactive screens. Based on the template selected, gomo creates the layout and adds all the required assets – all you need to do is to add content. Assets: gomo has a large set of prebuilt assets – for example, Accordion, Carousel, Filmstrip, Image Wall, Comicstrip, Zoomable Image, etc. – categorized into layout, media, presentation, and question asset types. You can also use the iFrame asset to add third-party content directly into gomo – like YouTube or Vimeo videos, or Adobe Animate CC animations. Content Blocks: gomo allows you to use content blocks to custom design screens. You can add any number of content blocks onto one screen, each with up to 4 columns. You can then place assets into each column of each block, and add your content. Actions: gomo actions allow you to create branching content and control learner paths. You can link to screens or sub-screens, and link to resources (e.g. PDF files) or external web links. Variables and Display Conditions: You can use variables and display conditions to customize default behavior and extend some features. If you need to use the same content in more than one place, for example, you can store that content in a variable and then use the variable across the course. Updating that content is then a lot easier, as you have to change it only in one place. You can use display conditions to lock specific screens and ensure that learners view all the content on those screens prior to moving ahead. In assessments, you can use display conditions to require learners to answer the current question before bringing up the next one. And as mentioned earlier, you can use display conditions to define content to be shown or hidden based on device type. You can also use display conditions to show simpler versions of screens when gomo’s “Accessible Mode” is on. You can use variables and display conditions in combination to build up content on screen or to display role-specific content where content gets filtered based on a selected role. Media: gomo supports .mp4 video files and .mp3 audio files to target a wider range of devices. You also have an option to play a video in the background and add assets on top of it. Menu: gomo supports two types of menus: A floating menu (called TOC) and a screen-level menu, which can be accessed through a button on the navigation bar. You can have both or one of them in a course. The TOC shows the list of topics, while the screen-level menu lists the screen titles and progress. Navigation: gomo allows you to set the preferred navigation direction (horizontal or vertical) for each individual topic. So you could have one topic where you navigate pages using next and back controls, followed by another topic where you scroll to view pages displayed one below the other. Quizzes: gomo allows you to create a separate quiz or assessment section with multiple questions. The entire quiz is contained on one page, with internal navigation between questions. Available question types include multiple choice questions, graphics multiple choice, select from list, hotspot multiple choice, number input, and many more. Quiz results can be tracked through SCORM or xAPI analytics. Global Components: gomo allows you to configure your course to add extras like Glossary, Help, Accessibility, Resources, and other components. Collaboration: gomo allows you to define different user roles. Authors can work jointly on the same course and share content across courses. A useful content locking feature ensures that two authors cannot modify the same content at the same time. Additionally, gomo retains copies of older published versions, so you can access and share those if required. Courses can be reviewed online by team members as well as clients and others from inside or outside the organization. Review comments are collated centrally for easy reference. Course Management: gomo shows you your course structure visually on a single screen. This can also help you to gauge development progress. Multilingual Support: gomo makes it easy to create courses in multiple languages. It supports the XLIFF format, so you can export the course in the default language content into XLIFF, then replace the text with text in a different language, and re-import the XLIFF into the course. gomo allows you to see all screens of a course in all languages in the editor itself. You can directly add content in different languages within this multilingual view. gomo allows you to integrate multiple languages into one course package (including right-to-left languages such as Arabic), so you can have one course (SCO) delivered through the LMS containing as many languages as you want. You can use gomo’s “language select” asset to allow learners to choose or change the language at the start of or at any point during the course. Accessibility: gomo content on desktops meets some of the Section 508 and Disability Discrimination Act (UK) guidelines. It supports the JAWS screen reader, tab order, keyboard navigation for most interactivities, and the addition of “alt text” labels for visual assets. gomo also has a special “Accessible Mode” feature for visually impaired learners, which allows you to simplify pages by removing screen transition animations. There’s also another feature that allows you to add transcript texts for audio and video files. The gomo video player also supports closed captioning in VTT format, so that you can display timed captions on top of video content. Hosting and Distribution: The gomo learning suite comes with integrated hosting and xAPI analytics. gomo hosting utilizes the Amazon CloudFront content delivery network. This uses the servers nearest to the learners to deliver course content, resulting in better performance. 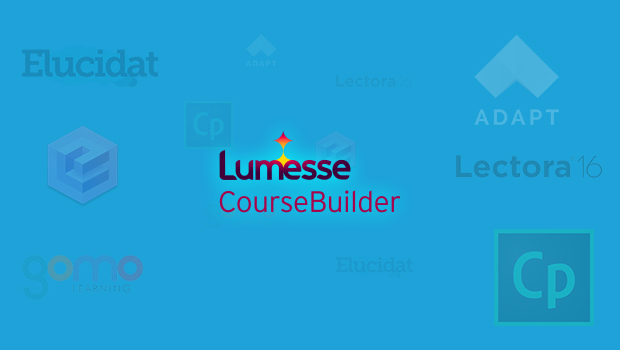 You can publish a course with the complete source and upload it on your LMS. Whenever there is a content update, you’ll need to republish, repackage, and reupload the course on the LMS. You can publish the course with the gomo SCORM wrapper. Through this, the package uploaded to the LMS will contain only the SCORM Schema definition files, manifest files, and course launch files. The content itself will remain in gomo cloud. Any content updates will be immediately and automatically reflected in the LMS. Note: You must have access to gomo hosting for this. gomo central: gomo central is the hosting service with integrated xAPI analytics. You can redesign it with your own branding and logo. Once you’ve created your learners, you can start tracking their data. Since data within gomo central is tracked through xAPI analytics, you can track a wider range of data like learner information, scores, device information, and other data. gomo central app: gomo central also has a mobile extension called gomo central app that learners can download from iOS and Android app stores onto their phones. Learners can login to the app and download content for offline viewing. With xAPI analytics, data for courses accessed offline is tracked and sent back to gomo central once there is connectivity. Direct Link Access: You can give learners direct access to content by sharing links or QR codes through email, LinkedIn, Facebook, Twitter, or other means. xAPI tracking will still take place, even if learners are not registered on gomo central. Website Embed: gomo allows you to embed content into a website using an embed code. Any updates you make to the course content in gomo will be immediately reflected on the website. gomo content is compatible with PhoneGap, so you can also package your courses as native apps and distribute them through Apple and Android app stores. However, data will not be tracked in such cases. gomo is most suitable for text-based or audio-supported courses. Although you can include audio clips and videos, you cannot use the tool itself to synch the appearance of screen content with audio. Placing one content element (asset) on top of another is not possible, so you can’t place text over an image, for example. And if you want to create a button with an image in the background, you’ll need to include the button’s label text into the image as well, as you will not be able to overlay it. You cannot control how background images appear. Any background image you include for a screen will be on “repeat” – that is, a tiled view. If you select a theme that adds box-shadows to elements or columns, you will not be able to modify the theme to remove these. There is no live preview. Every time you add to or change the content, you have to regenerate the course preview. This increases development time. If you have multiple media elements on one page, the video currently being played needs to be manually stopped before playing the next one, i.e. the gomo player doesn’t automatically stop the current file when the next one begins playing. gomo offers limited fonts styles. Also, any font style you choose for a content element type is applied at global level – you cannot customize screen-level text to have different font styles for the same content element. 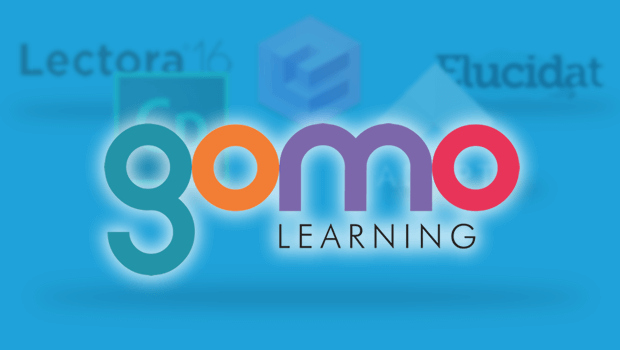 gomo does not allow you to import or export courses. This means you cannot share course sources with clients or vendors unless you grant them access to your account (or vice versa). The TOC only shows the main course topics; you cannot have a TOC displayed as a tree menu with page titles and progress. Navigation buttons support only normal and hover states; they do not support the disabled state. This means you have to hide buttons instead of disabling them. Additional global controls and features like play/pause or transcript buttons cannot be included in the player navigation; you need to add them at screen level. gomo doesn’t allow you to import any new assets or templates. Also, any custom page designs you create for a course cannot be reused in other courses. gomo currently does not include any gamification features. While offline viewing and tracking is supported through the gomo central app, data is automatically sent to gomo central’s underlying LRS. You cannot configure xAPI data to be sent to any other LRS. gomo provides support for offline viewing and tracking on mobiles through its central app, which is downloadable through Apple and Android app stores. Learners can login and access the courses assigned to them directly or in offline state. The central app supports offline learning, xAPI tracking, and dynamic content updates. gomo is user friendly even for non-technical people and works well for creating text-based or audio-supported courses – that is, where the audio plays and all content is displayed at one go. It allows you create courses in either desktop first, mobile first, or a combination approach. You can also create a multi-lingual course as a single SCO, with a language selection option for learners. gomo does support IE8 and Safari 5, as well as lower versions of Android, which can help target a wider range of devices. gomo’s cloud-based learning portal, gomo central, combined with its mobile app extension, allows for offline viewing as well as tracking on mobile devices, which can be very useful for certain types of jobs or situations. Like Adapt, Evolve, and Elucidat, gomo may not be the most suitable tool if your content is primarily audio driven, simulation based, or very rich in animation. In our next and the last post of this series, we’ll take a look at some of the latest features and functionalities of Captivate 9.